Sync invoices, new charges items, as well as estimates using Xero. Working with invoices and estimates is similar, with the exception of payments, which are not entered on estimates. To add a charge, click the Add a charge button to open the charge form. This pop-up form will allow you to set the line charge. You can click the dropdown to choose an existing items or click the plus sign to add a new item. Next, you will describe the item. There don't seem to any character limits with the description like there are with Quickbooks. Job Charge Types are a feature to better organize your charges and report on them later. Next, you have the price to your customers to set, and the discount percentage, and the Xero tax rate to apply to the charge. Depending on the tax inclusive/exclusive setting, the line item amount will be adjusted to remove the tax from the line item total. To add a payment you must generate an invoice first. Now, click the Log a payment button to open the payment form. This form will allow you to specify the date of the payment, type (unused in Xero), the Xero account to associate the payment with, and the amount, along with payment notes. Regarding the Xero account make certain that in your Xero account that you have enabled the particular revenue account to be enabled to payments. 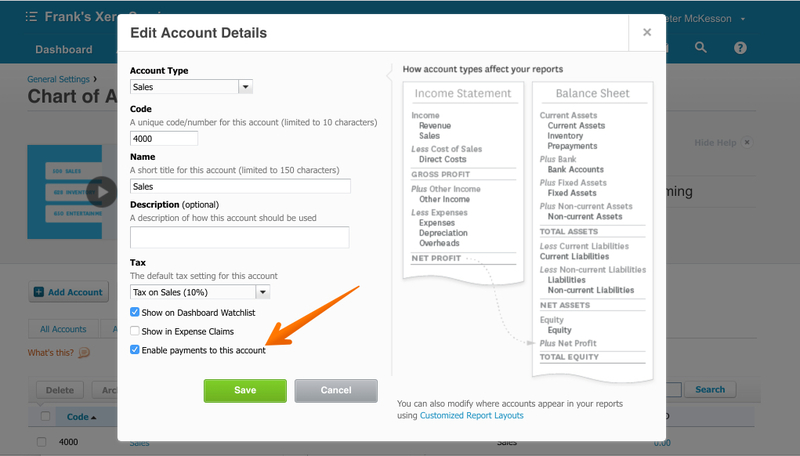 While using Xero you can sync your estimates to Xero as well as your invoices. Kickserv estimates sync to Xero as "draft invoices". You will see them on your Xero dashboard.